Manufactured from high quality steel with copper brazing and a tungsten carbide cutting head. Double flutes are used on the drill to improve the efficiency of waste removal The result is a faster cleaner hole. 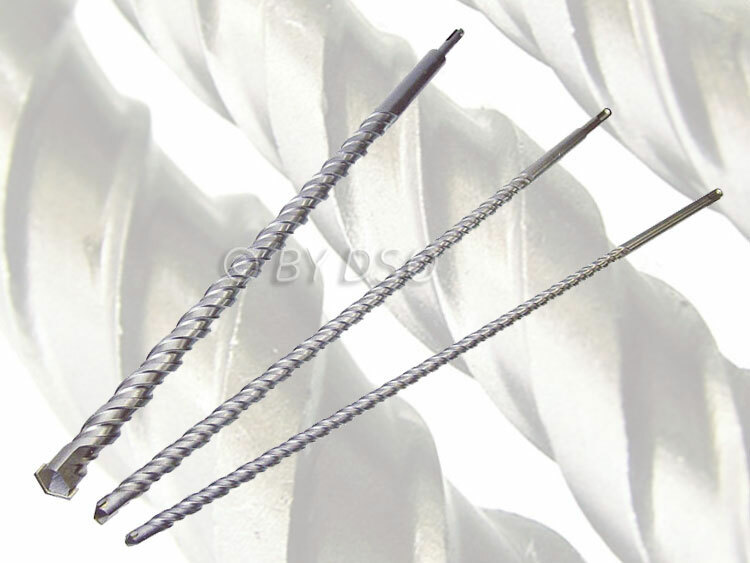 Shanks of the drill bits are SDS type for use on SDS rotary hammer drills. For use on concrete masonry lightweight block and stone.